Submitted by Rachel Bowles, Registered Behavior Technician at Imagine! 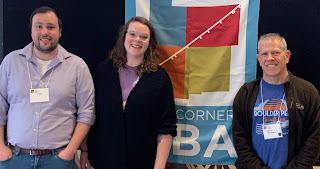 A select number of Imagine!’s behavioral staff were chosen to present an original poster at the Four Corners ABA (Applied Behavioral Analysis) Annual Conference in Sante Fe, NM. We were referred to submit a poster abstract to this conference by Dr. Jeff Kupfer, a consultant for Imagine!, who established and served on the Board of Directors for Four Corners. The poster was titled “Effects of Variable DRO and NCR on Attention-Seeking Behaviors in the Context of a Day Program.” We mingled and talked with other presenters at the conference, building our network explaining in more detail what we do at Imagine!. We also had the honor of listening to several experts on many different subjects within the field of Applied Behavior Analysis, over the course of nine sessions at the conference. 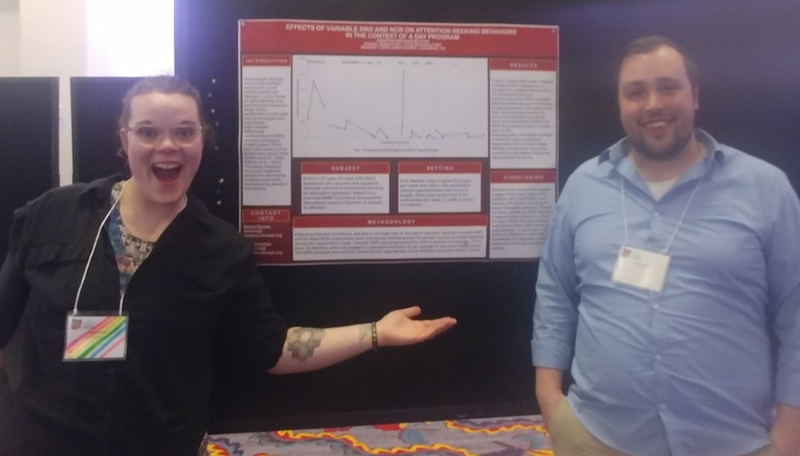 We met so many interesting and knowledgeable behavioral professionals, and it was truly a lot of fun to hear what they've been up to in the field. We hope to attend and present again in the future, as it was a great experience and a very informative conference! Congratulations are in order for Patti Showman, recently selected as an Imagine! Early Intervention Rockstar. Patti always goes above and beyond working with our Early Intervention providers to ensure successful billing. She is accommodating to all our providers during this time. Patti is consistent and competent at what she does. She always has a positive and upbeat attitude, she brings lots of joy to the team and adds to admin’s overall approachability. She maintains team spirit even in light of turnover and software updates. We appreciate you, Patti! Imagine!’s latest Family Support Bulletin is available online. 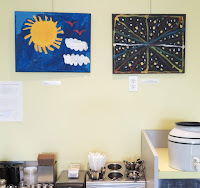 From now until April 29, Que’s Espresso in Longmont has decorated their coffee shop using the creative minds of Imagine! artists. 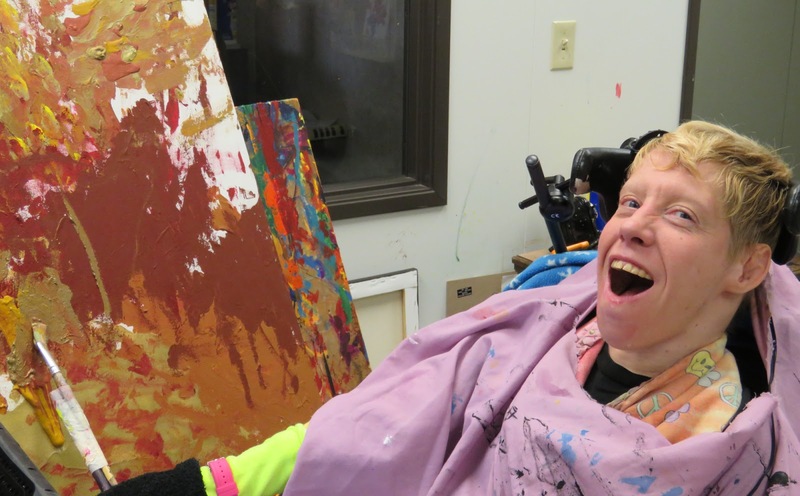 Every week, Imagine!’s Adult Day Program facilitates an interactive art class, bringing to life a variety of creative expressions. Painting on canvas is a popular medium in this class, allowing for many opportunities to display artwork in the community. The Dairy Arts Center, Longmont and Boulder art walks, and the online Etsy page are a few examples of showing off these masterpieces to the greater community. Now, add a popular and classy coffee shop to the list. Grab a scone and a cup of Joe and support these artists by checking out their work. Que’s Espresso is located at 600 S Airport Road, Longmont, CO 80503. You can also buy the art right off the wall at the shop! Or visit Imagine!’s Etsy page and purchase art online. 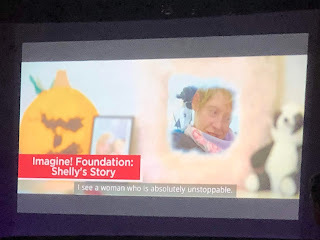 Shelly’s Story, a short documentary created by MassFX Media for Imagine!, was recently nominated for best short documentary at the Colorado Film and Video Association (CFVA) awards. While we didn’t end up winning, the ability to share the video with that audience and many others through social media due to this honor was tremendous. 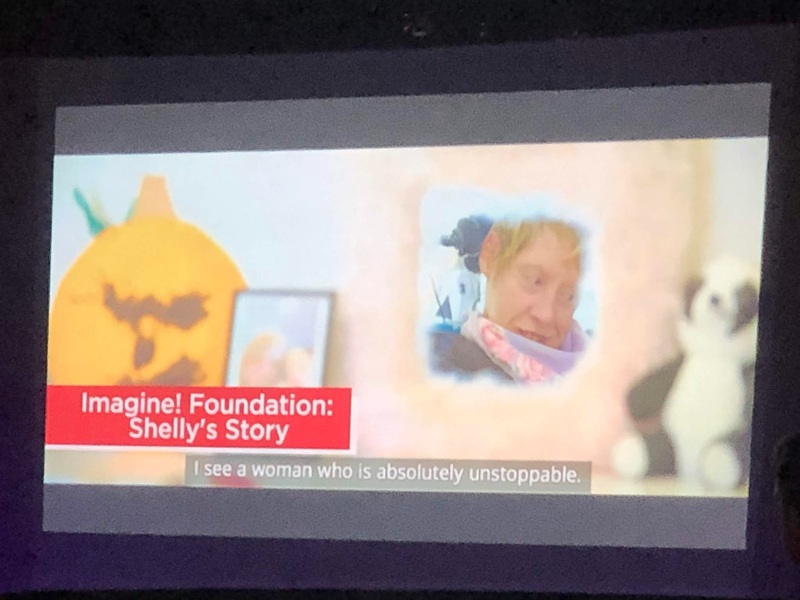 We thank MassFX for their amazing support of our organization and for their great work sharing Shelly’s story. Pictured below are MassFX’s Shawna and Matt Schultz with one of the Imagine! employees featured in the video, Meagan Little, at the awards ceremony. Join us for the 5th annual Imagine! Out & About Centre Stage for Kids performance! Participants from Out & About's after school program have worked all year on a one act play to share with the community! 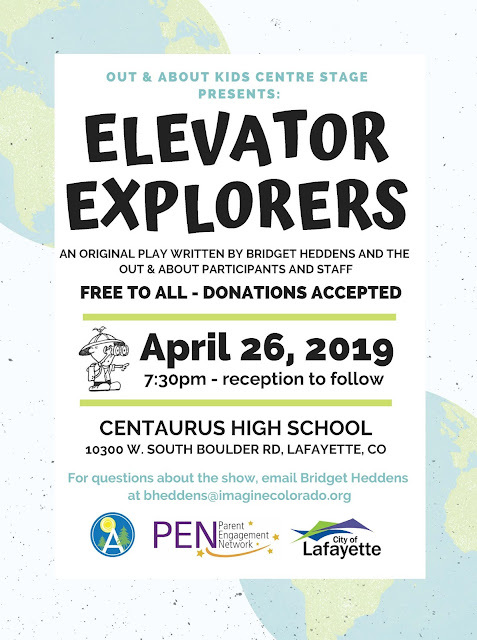 Sponsored by the City of Lafayette and PEN (Parent Engagement Network). Today we are featuring a guest article, written by Ashley Taylor of disabledparents.org. Once you know that a baby is on the way, the initial excitement usually gives way to a few anxieties. How is a child going to change your life? What do you need to do before the baby arrives? Is your home ready to welcome a new addition to the family? These are all common worries for soon-to-be parents, but they can be more overwhelming for those with disabilities. In this guide, we try to answer some of these common questions and give tips for expecting parents with disabilities so that they can feel ready and reassured when the time comes. The way a baby affects a parent with disabilities’ life will mostly depend on the type of disability, as well as the level of support available in the home from a spouse or other family member. Every parent will have different struggles and considerations. For instance, parents who are hard of hearing will need to find visual ways to be alerted by their child’s cries, while parents who use wheelchairs will have to find accessible baby furniture and accessories. In the vast majority of cases, there are relatively easy fixes to these problems. Parenting with a disability is not easy, but it is not impossible. 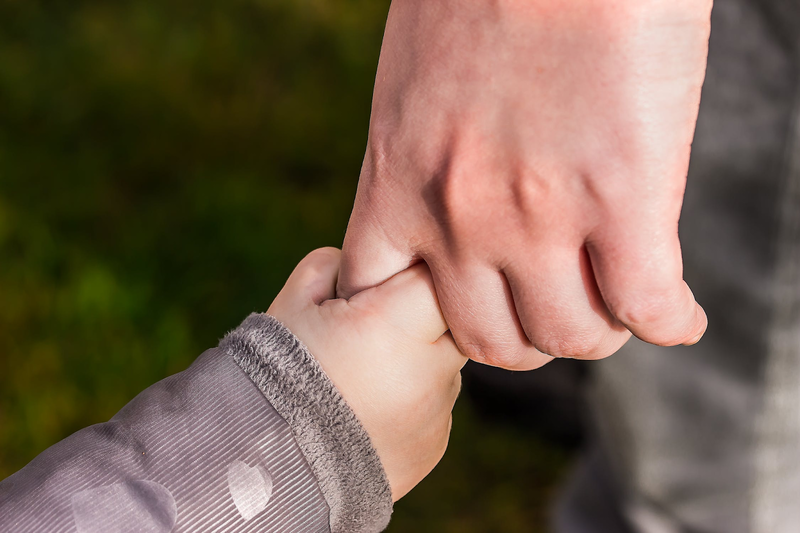 In a recent study, researchers found that parents with disabilities scored the same as those without a disability when it came to parental effectiveness or satisfaction. In other words, parents with disabilities are as good at parenting and as happy with it as their able-bodied and neurotypical counterparts. Perhaps the biggest practical decision you will have to make involves the various products you purchase when a baby arrives. Whatever you buy, first make sure to research your options extensively and look for trusted online reviews. Depending on your disability, you may need specific items, such as a wheelchair-accessible crib. In this particular case, you may be better off modifying a standard crib, since specialized ones can be a little expensive. In other cases, it’s simply a case of finding standard market products that help you and suit your needs — for example, a high-quality baby carrier that can keep you hands-free while keeping the baby with you (you can find these online for less than $25). It may feel like you need to completely overhaul your life and home for the arrival of the baby, but in most cases, you only need to make small modifications. For example, it is a good idea to work toward making your home more accessible since you need to be able to comfortably and quickly navigate the house. There are some easy home modifications for accessible parenting, such as installing ramps and expanding door hinges. It may be a good idea to hire a handyman in your area to complete these projects. In Lafayette, these services generally cost $121 to $466, depending on what you need done. As for changes to your schedule and day-to-day life, these will depend on how much help you can get from loved ones or professionals. The first few weeks of a baby’s life are tough on any parent, so it’s important to get rid of any preconceived notions you might have. Learn to get the help you need, and you will find the transition into parenthood far smoother. It is easy to feel like there is not enough guidance out there for parents with disabilities, and the truth is that this can sometimes be the case. However, do not underestimate the value of general parenting blogs, books, and resources — in most cases, the advice does still apply. When it comes to the specific challenges of parenting with a disability, you will find that there is plenty of support available online from other parents who have gone through the same thing, and who will be more than happy to share with you their tips for making it easier. 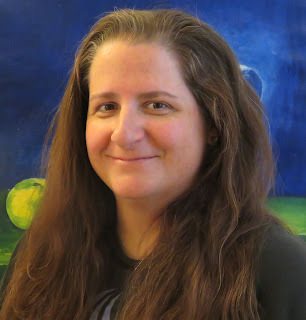 Congratulations are in order for Clara Frostman, recently selected as an Imagine! Family Support Life Saver. Clara has been a wonderful addition to our Family Support team! Clara brings positive energy to our team and has been so willing to lend a helping hand. Clara has rocked her role as our Family Support Services Program (FSSP) admin and continues to take on new responsibilities. We appreciate all that she does. FSSP is very lucky to have her! 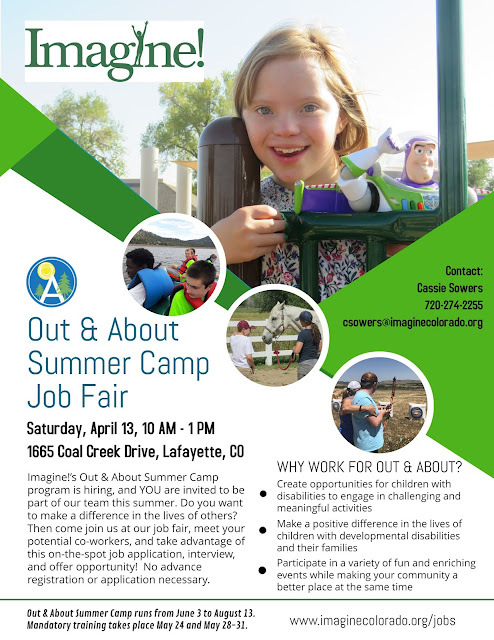 This month, we celebrate Rachel Wolk, who works at Imagine!’s Santa Fe Group Home in Broomfield. She is our recipient of this month’s Excellence in Customer Service Award. 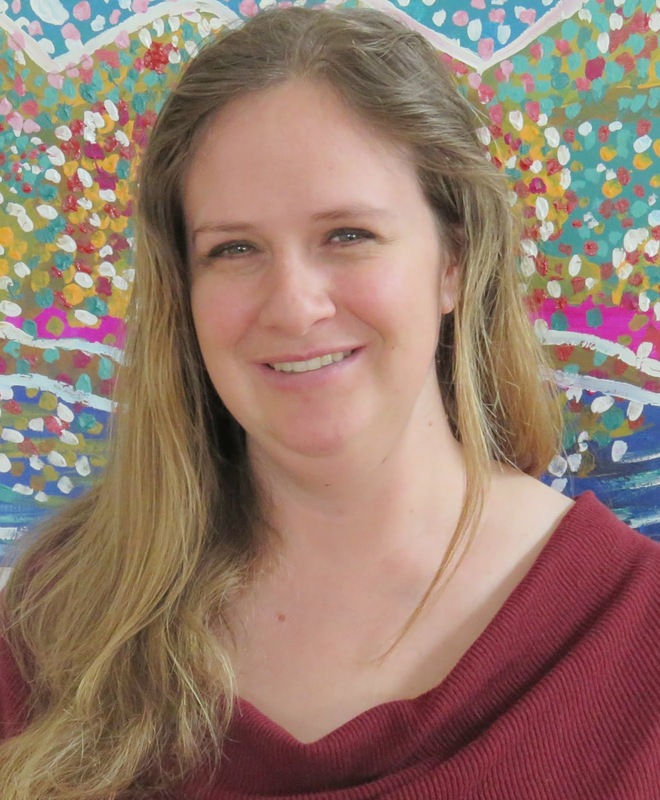 "Rachel shows great care and compassion for the individuals served at the Santa Fe Group Home. She is always willing to take time with the folks she serves, whether it’s to help them work on their goals, getting needed appointments, ensuring daily needs are met, or just being available to chat and play games. In addition to these fabulous things, she is always willing to step up and help her co-workers". Recently Rachel has gone above and beyond in her efforts at Santa Fe when a large percentage of employees and supervisors became ill or were on FMLA. For the last two weeks in February Rachel worked extra hours to cover shifts. Sometimes without even needing to be asked, Rachel would see a need to stay between morning and evening shifts and just fill the need calmly and with a positive attitude. 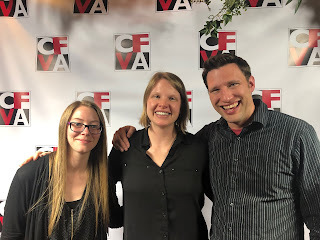 Rachel is a cornerstone of the Santa Fe team and we are thankful to have her." Thank you, Rachel, for all you do! In fall of 2018, Imagine!’s Director of Service Operations Shannon Kluth made a public statement that the efforts of integrating technology into Imagine! services will be taken to the next level, launching the Technology Initiative. “This initiative is meant to differentiate ourselves from other organizations through the integration of technology into the lives of the people we serve,” stated Shannon. The main priority is to increase self-reliance for the individuals Imagine! serves and to assist them in living fulfilling and healthy lives. 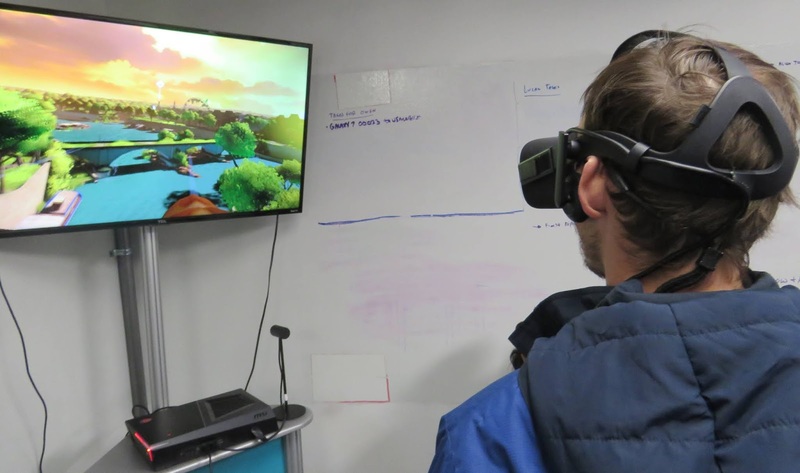 Along with simulating recreational experiences, Reality Garage plans to build Imagine! a virtual job site later this year. This will provide clients with a virtual workspace to practice job skills and tasks before actually stepping foot into the workplace. The weekly iPad class took a field trip to the Apple store on Twenty Ninth Street Mall in Boulder. 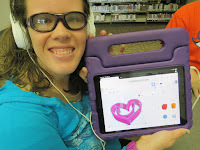 Apple staff designated a table for Imagine!, supplied iPads for everyone to use, and taught a class in “how to make your own Emoji!” Clients learned how to communicate in creative ways using the iPads. The Apple staff members were very welcoming and friendly, and it was a successful class! Assistive Technology Program Supervisor Meagan Little works at our CLS site in Longmont and has played a large role in turning fun ideas into these tangible activities and meaningful classes. “Technology is a big part of my life, and I want to assist the individuals we serve in having the same experiences,” said Meagan. Instructors Erin Schram and Zoe Rolfe have played important roles as well. Just as modern technology is always evolving, so will the Technology Initiative at Imagine!. Stay tuned for updates as we continue to integrate technology into Imagine! services, all while creating a world of opportunity for all abilities. Thanks to Cellar West Artisan Ales, who are working with Imagine! 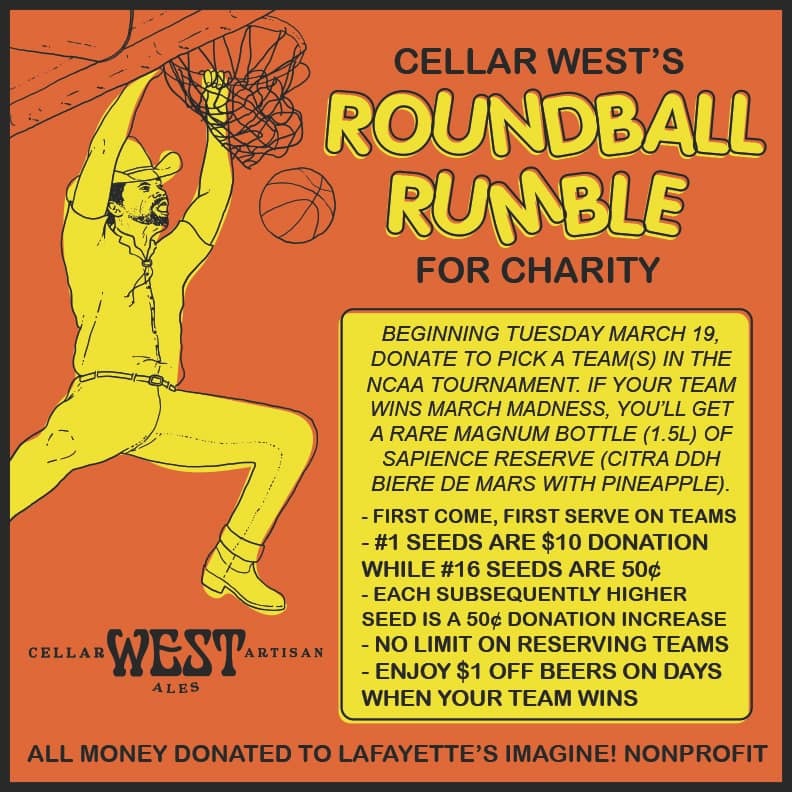 for this year’s Roundball Rumble in the Bier Pub. If your team wins the tournament you’ll receive: A MAGNUM (1.5L BOTTLE) OF SAPIENCE RESERVE, CELLAR WEST’S BIERE DE MARS DOUBLE DRY HOPPED WITH CITRA AND FINISHED ON PINEAPPLE. All money raised will be donated to Imagine!. Visit Cellar West at 778 W Baseline Rd in Lafayette, or check out their website. Imagine! is hosting two FREE Special Needs Planning Workshops in April. 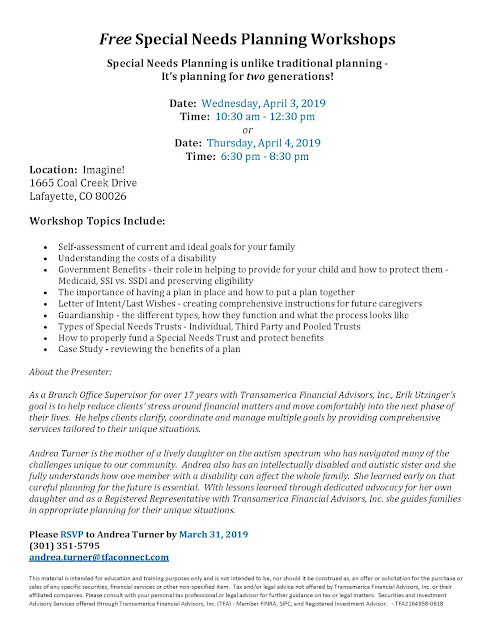 RSVP to Andrea Turner by March 31: 301-351-5795 or andrea.turner@tfaconnect.com. Congratulations Chrissy Romatzke, recently selected as an Imagine! Early Intervention Rockstar. Chrissy has been a Rockstar in the department since day one. Chrissy ensures that she provides consistent and timely service coordination to all her families. She is a team player and always has a positive and calm demeanor. She’s been faced with working in several difficult situations and she takes on the challenge without hesitation. We are lucky to have such a hard worker on our team! Thanks Chrissy, you ROCK! Today we’d like to recognize Imagine! 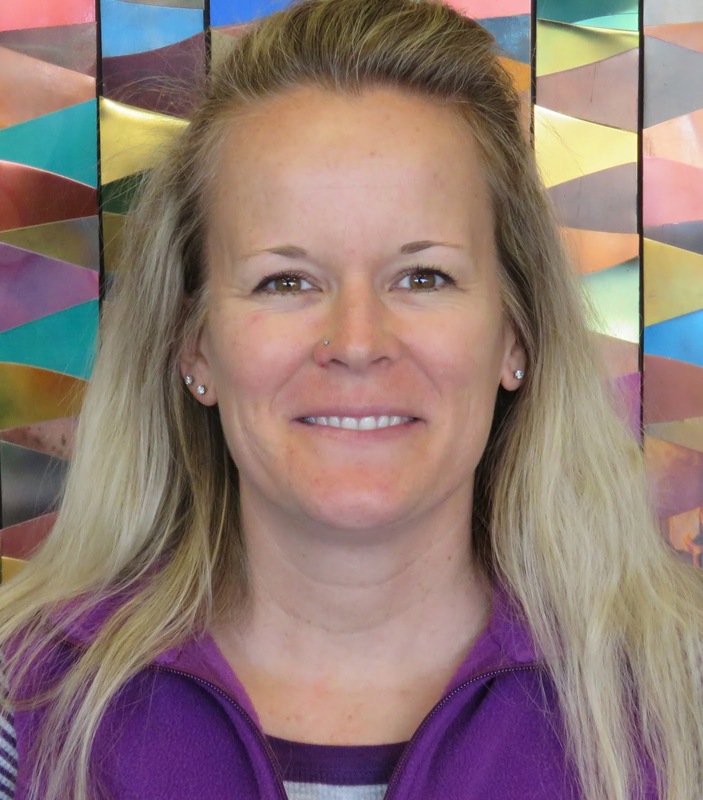 employee Meagan Little, who works at our Longmont CORE/Labor Source (CLS) site. Meagan has been going above and beyond working so hard to get the supportive technology set up through the new CLS building and helping other staff learn how to use this tech. She is always working on something, whether it's building partnerships with other companies (iPad classes) or trying to help a participant get recognition for her writing. If Meagan is available and notices that someone needs a break, she will always step in and take over, insisting that we take a break. She is an invaluable member of this team and we can't imagine what CORE/LS would be like without her dedication. 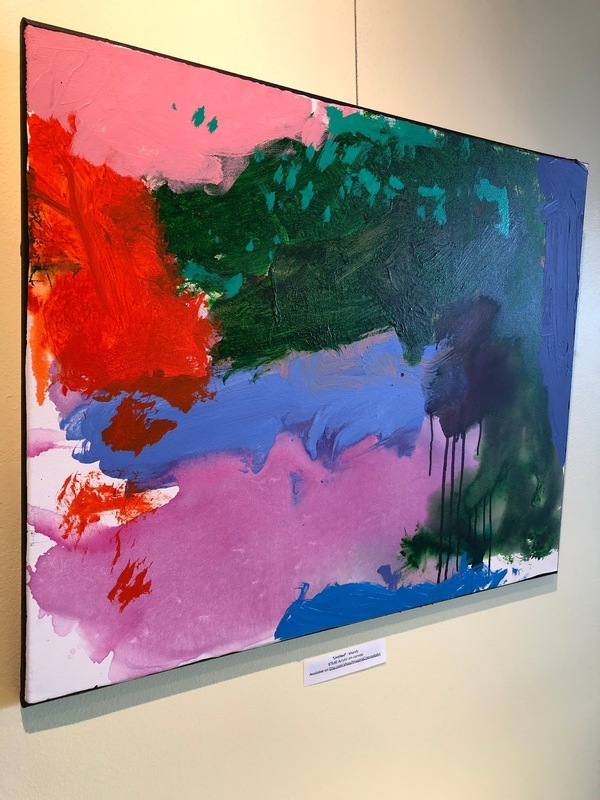 Congratulations are in order for Christine McCaslin, recently selected as a recipient of the Imagine! Excellence in Customer Service Award. Christine provides outstanding support to Imagine!’s Family Support Services Program (FSSP) as an accounting clerk. Christine generates the FSSP grant checks for our program, a task the families we serve would agree is most important. Christine's timeliness and attention to detail is vital to this process, as is the flexibility she displays, be it rescheduling check day due to holidays or re-issuing a shredded grant check at a family's request. It is truly a pleasure working with Christine! Imagine! 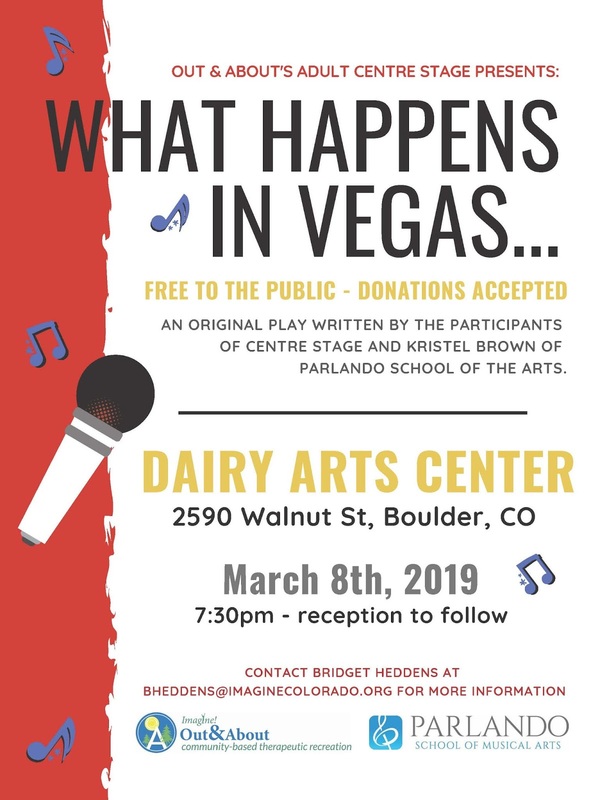 Centre Stage Performance This Friday! Congratulations are in order for Samantha Kelly, recently selected as an Imagine! Case Management Unsung Hero. Samantha has been with Imagine! for over two years, and quietly completes Case Management services with excellence. Samantha has well learned the aspects of Case Management and client care. 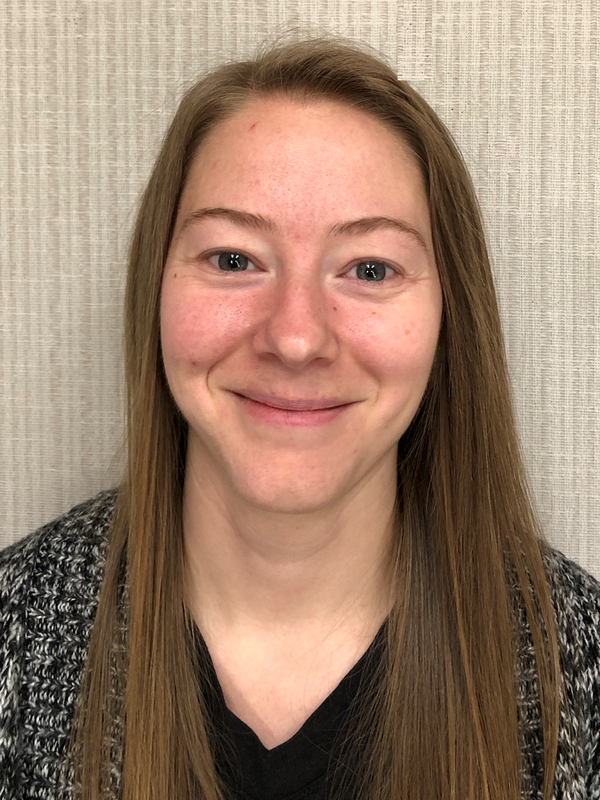 “Even with a difficult case,” one guardian told us, “Samantha is a good Case Manager.” Samantha takes extra attention to make sure monitoring notes have great detail and communicate what is occurring in the client’s life and services. Thank you, Samantha, for your dedication to Imagine!’s mission. Congratulations are in order for Cindy Navarrete, recently selected as an Imagine! Case Management Unsung Hero. 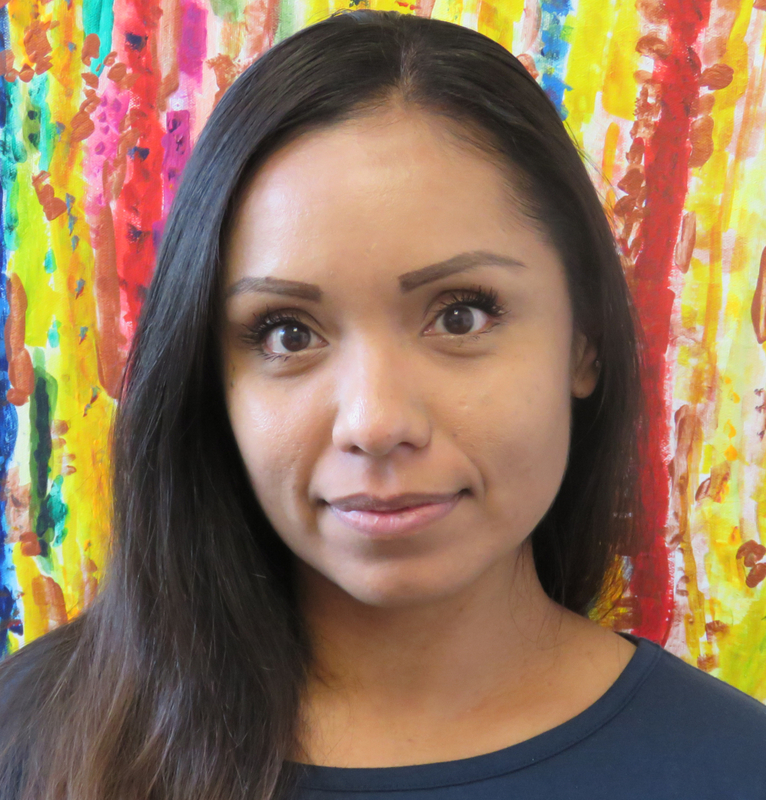 Cindy has been a crucial asset to Imagine!’s Case Management team as one of our only adult bilingual case managers. She recently has covered many SLS bilingual cases as well as supporting her own caseload. She is quick to support clients in need and treats every case with great attention to detail. Cindy is also a part of the investigation team and often offers to take investigations even when she is busy maintaining her own workload. She takes on additional work without complaint and looks for opportunities to support the department where she can. We are lucky to have her as part of our team! Today, we’d like to recognize Imagine! employee Hailey Schauer, who was recently nominated for the Alliance Direct Support Professional of the Year Award. Hailey is relatively new as a DSP with Imagine! but from the start she has been eager to learn. She is a natural leader. After a few months of training and learning about how Imagine! functions, Hailey stepped up as a shift leader. She helps other staff organize their shifts so that they can be as effective as possible in assisting individuals with their daily activities as well as in the pursuit of their personal goals. As Imagine! works to help implement new technology to increase their independence and quality of life, Hailey has not only been on board with trainings but has leaned in to do more. She has learned how to assist not only those whose tech plans have been assigned to her but everyone in the home where she works. She has also spent time working with every individual to determine what they need and what they want to get out of technology, and has proposed changes or new plans for how technology can be used. 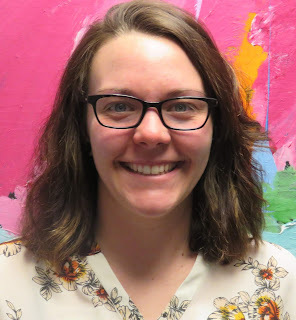 In addition to the work she does with the individuals she serves, Hailey also makes it a priority to help train other staff so that they can assist individuals in the use of their technology. 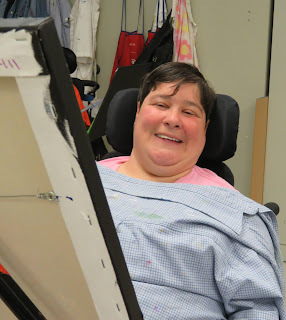 Currently, there is an individual at her site who is learning to use a Dynavox to communicate. Sometimes it feels simpler to ask the individual a series of yes or no questions rather than set up the Dynavox. Hailey understands that the yes or no questions can lead to confusion and frustration for this individual. She makes a point to set up the Dynavox, and encourages other staff to do the same, so that the individual can have a voice. Hailey has also spent a lot of time getting to know the individuals she serves. She understands their insecurities and helps them find the confidence to be their own self-advocates. 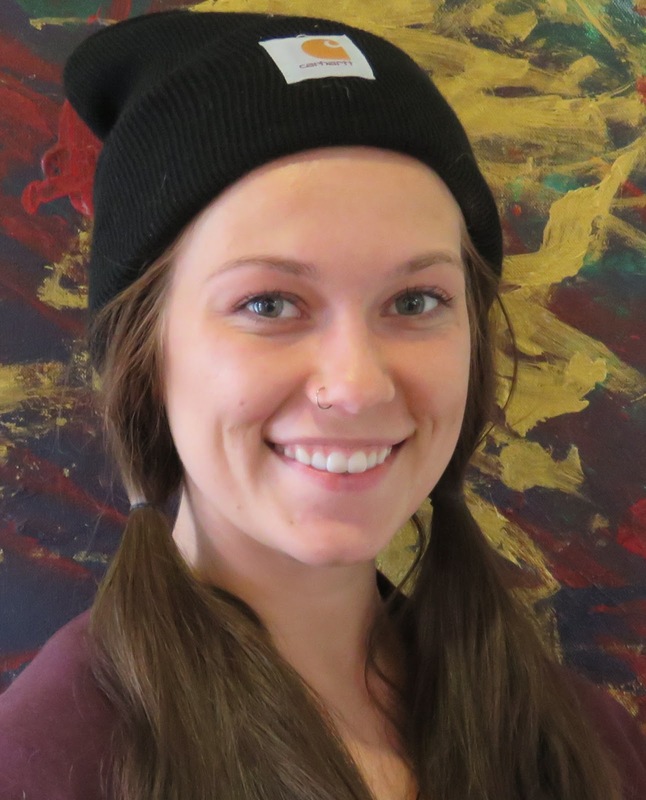 Hailey also does her best to help individuals get into the community, engaging in fun activities. Sometimes she finds activities for the entire site to attend, like a community dance, and other times she focuses on specific individual desires like going to the grocery store to buy ingredients to bake cookies. The individuals who work with Hailey are well served and supported by her. The winner of the Alliance Award will be announced February 27 at Alliance's Annual I/DD Awareness Day at the Colorado State Capitol. 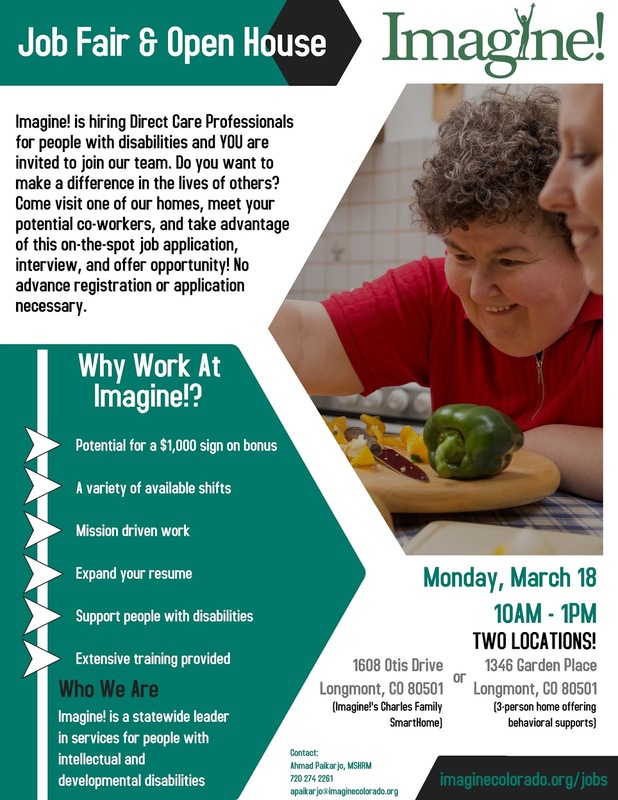 Today, we’d like to recognize Imagine! employee Brett Osborn, who was recently nominated for the Alliance Direct Support Professional of the Year Award. Brett has a heart full of care and compassion for all of the individuals with whom she works. She has made it a personal goal to get to know them well so she can be the best support and advocate possible. The results of this goal are plain to see. One of the residents suffers from depression, and she finds new and fulfilling ways to help this person get out of the house and into the community. She helped the individual join a church and build relationships with the people there, as well as taking her on fun outings like to the nail salon. The community outings and involvement help with the depressive symptoms and the individual has enjoyed trying new things as well as having fun planning and researching other possibilities. In another example, Brett is the primary support for one individual and she has supported her in ways that have truly been transformative. 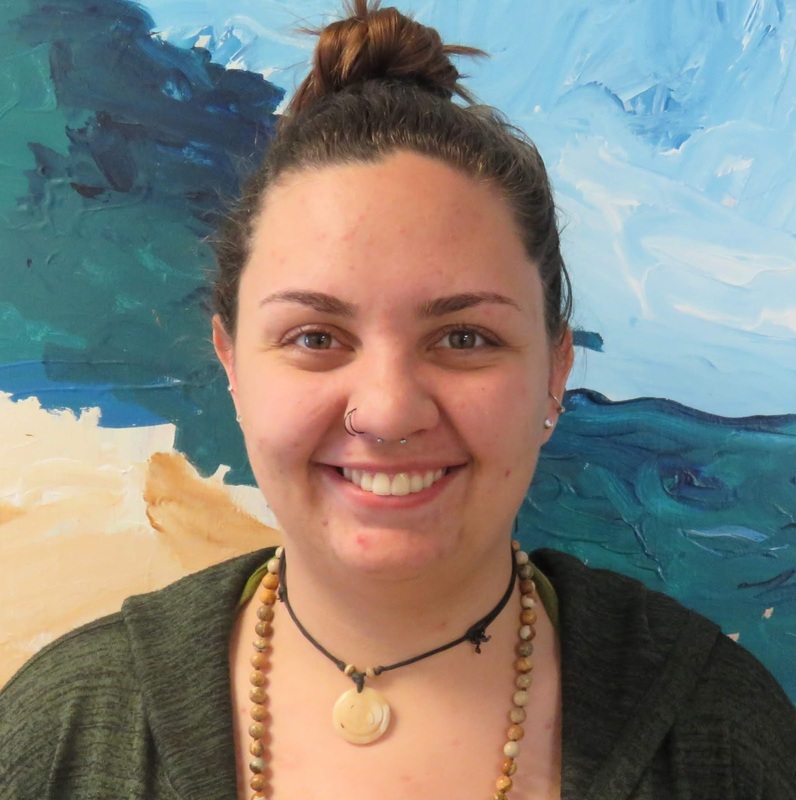 Brett supported this individual to express herself and her emotions in a healthy way. The individual is not able to communicate verbally very easily but now she is painting and playing music. Those activities are entertaining and enjoyable but also help the individual express her feelings to those around her in a tangible way. Brett is a tireless advocate and support for this individual. She helps this person navigate complicated health discussions with her family, guardian, nurse, and site supervisor. Brett is always tuned into what the individual is feeling and makes sure that her voice is heard. Brett spends a lot of her time, on and off the clock, helping people when they’re in the hospital. She makes sure the hospital staff understands how to communicate with the individuals she serves and also makes a point to visit them and bring them personal items that will make them feel more at ease. If ever there is a medical emergency at the home and Brett is on shift, you can expect to see her taking the lead. She keeps a cool head in crisis and makes sure that everyone is safe and informed. Brett’s focus on each individual and their unique needs and desires makes her stand out among the rest of her colleagues.